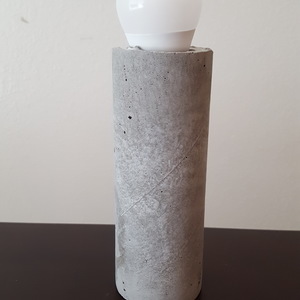 I've been watching a lot of YouTube videos of people doing neat things with concrete. 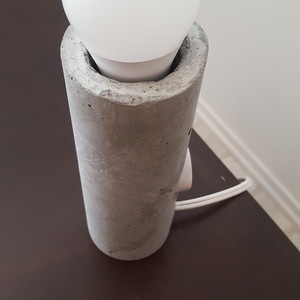 Many have used concrete to make lamps or pendant lights. 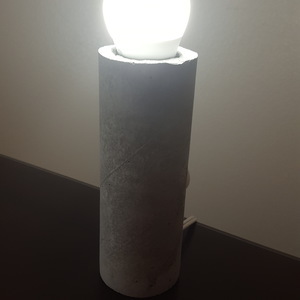 I decided to try my hand at it. I searched around the house for the best shaped bottle I could find. I didn't find any good sized bottle (that was empty) so I decided to use a Pringles can for my concrete 'mold'. I emptied out the Pringles and started the prep work. 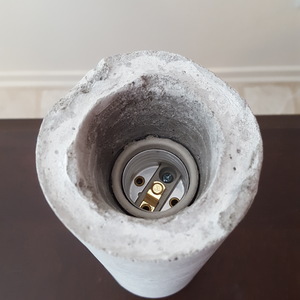 It involved making a small hole at the bottom of the can for the wires. I also made a larger hole a little ways up for the dimmer knob. 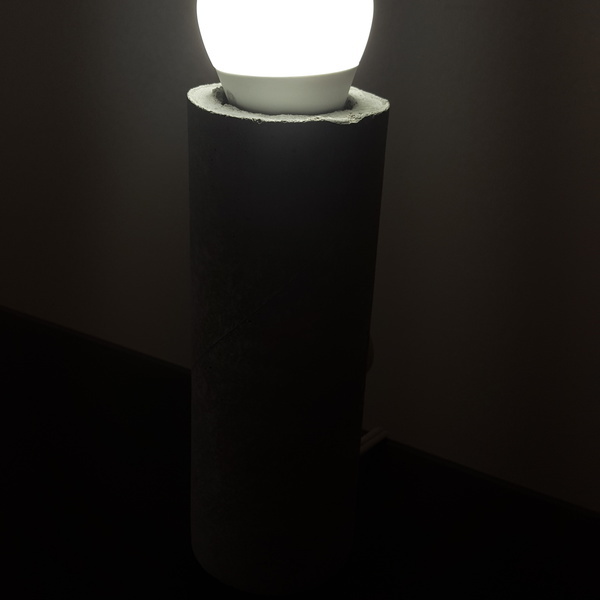 I decided to make this lamp with a dimmer because I didn't plan on incorporating a shade of any kind so I wanted the ability to dim the direct light. I made two small holes above and below the dimmer knob hole for screws. 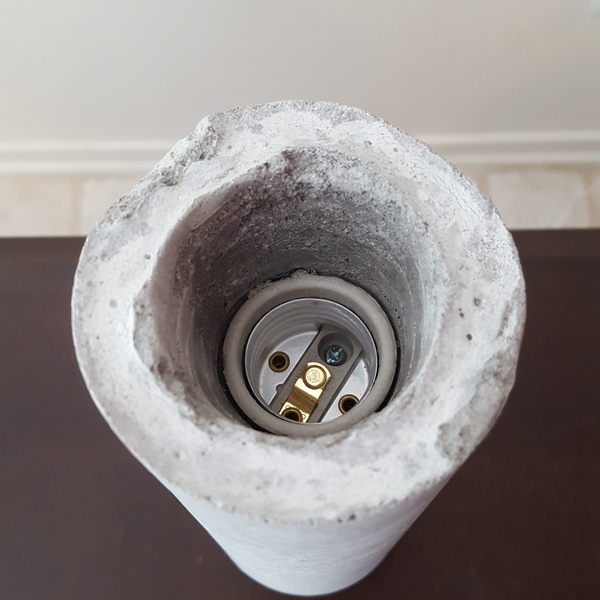 These screws came with the dimmer box and I used them to suspend the dimmer box in the Pringles can so it would get surrounded by concrete. I wired everything up and then used a bunch of electrical tape to protect all the electronics. The last step before the concrete involved sealing off the holes with hot glue so that the concrete wouldn't just seep out. 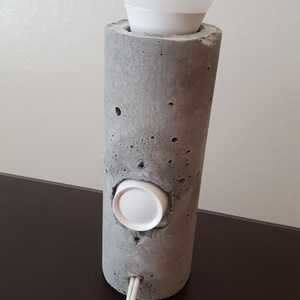 Then I proceeded to fill up the container with concrete. I used a plastic coat hanger that I cut to help press the concrete all the way to the bottom of the can. 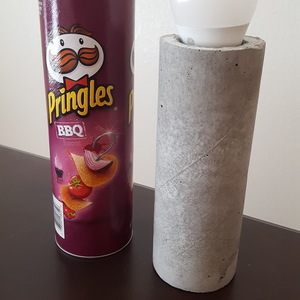 I let it sit overnight and the next day I peeled the Pringles mold off to expose the finished product. I was thoroughly surprised that everything worked and it turned out looking pretty neat. I hope to do some more projects like this in the future.